The first Columbus Pottery Show & Auction was a success. Plans are already underway for the second Show & Auction in 2010. On behalf of the promoter, managers and auctioneers thanks you to the hundreds of bidders, buyers, and dealers who made this first event happen. The Show & Auction is here! See you there. 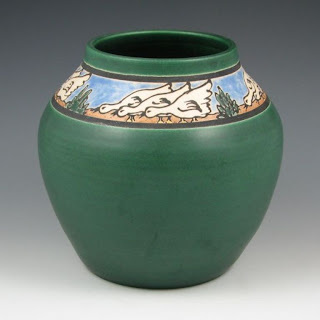 Chris Powell, an exceptional studio art potter, will be one of several contemporary American Art potters exhibiting and selling their pots at the first ever Columbus Pottery Show & Auction. Powell is based in Columbus, Ohio and was among the earliest supporters of the new Columbus Show & Auction. Powell is inspired by the Art and Crafts philosophy and creates hand thrown pots in his Westerville studio for collectors across the country. He founded his studio in 1994 and he continues to develop new glazes, designs and forms, aiming for a timeless, honest quality to his work. He will be displaying a wide variety of forms and glazes with pots for the first time collector to the real pottery enthusiast. Visit Chris Powell and C Powell Pottery at the Columbus Pottery Show and Sale. The Columbus Pottery Show and Auction is one week away. 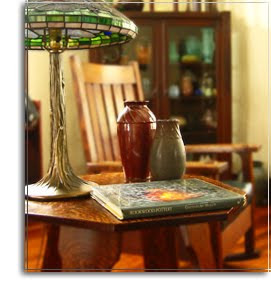 The auction catalog is complete and ready to preview and accept absentee bids. Hope to see everyone in Columbus next week.